At Vintage in Vogue, hats and accessories are part of the look. Consigning Women: Lilly Pulitzer has her own rack at the flagship East Harwich location of this popular shop. With 7,000 square feet of floor space (and another 2,000 square feet in Brewster), Consigning Women claims to be the largest consignment shop on the Cape. You’ll find designer and name brands, along with a good selection of plus sizes. East Harwich also sells furniture and home décor. 175 Route 137, East Harwich, and 220 Route 6A, Brewster; consigncapecod.com. Penny Lane: Celebrating 22 years in business, Penny Lane offers primarily women’s clothing and accessories, with a smattering of furniture and home décor. Popular labels include Chico’s, Ann Taylor, Vineyard Vines, and Talbots. Clothing is conveniently organized by color within each size, and prices drop the longer an item has been on the racks. 331 Cotuit Road, Sandwich; pennylaneconsignment.com. 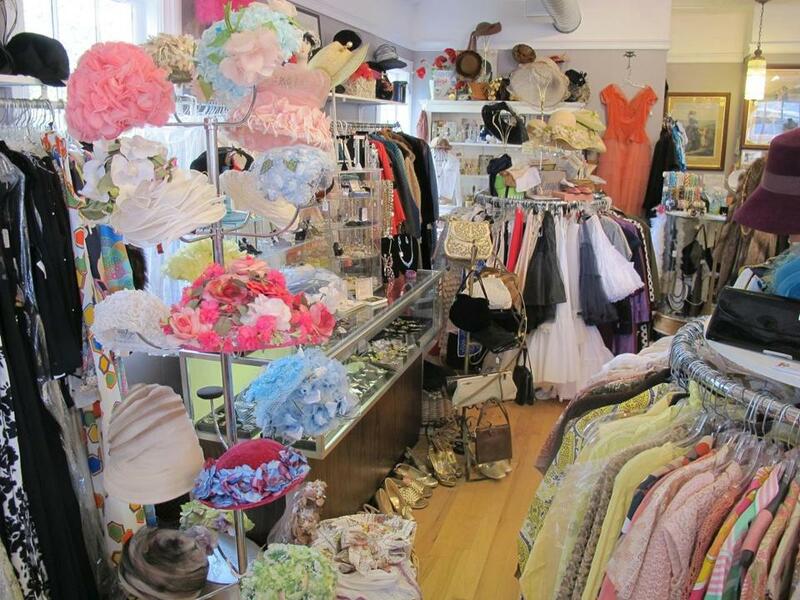 Vintage in Vogue: With locations in Orleans and Provincetown, Vintage in Vogue offers women’s and men’s day and evening wear, hats, purses, and costume jewelry from the mid-1800s to the 1970s, displayed by decade. The Orleans shop sells vintage bridal gowns and accessories, as well as formal wear — such as a cream-colored gown worn to Richard Nixon’s inaugural ball. 31 Main St., Orleans, and 237 Commercial St., Provincetown; vintageinvogue.com. 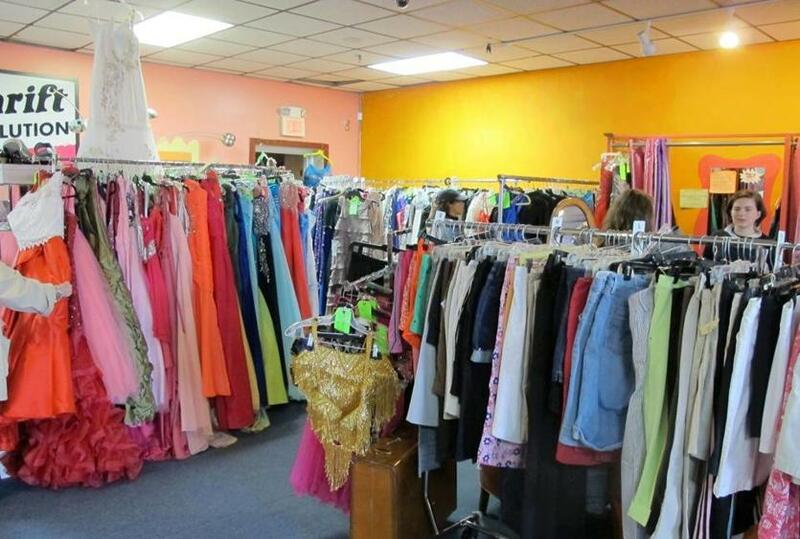 Wicked Thrift is known for its large selection of prom gowns. Wicked Thrift: Not really a consignment shop, Wicked Thrift buys pre-owned items outright for cash or store credit. While the store is best known for its large selection of prom gowns, women’s dresses, and designer shoes and accessories, it also carries men’s clothing. In the PopRock vintage room, you’ll find vintage gowns, beaded dresses, records, hatboxes, and fur coats, among other retro goodies. 533 Route 28, West Yarmouth; www.wickedthrift.com. 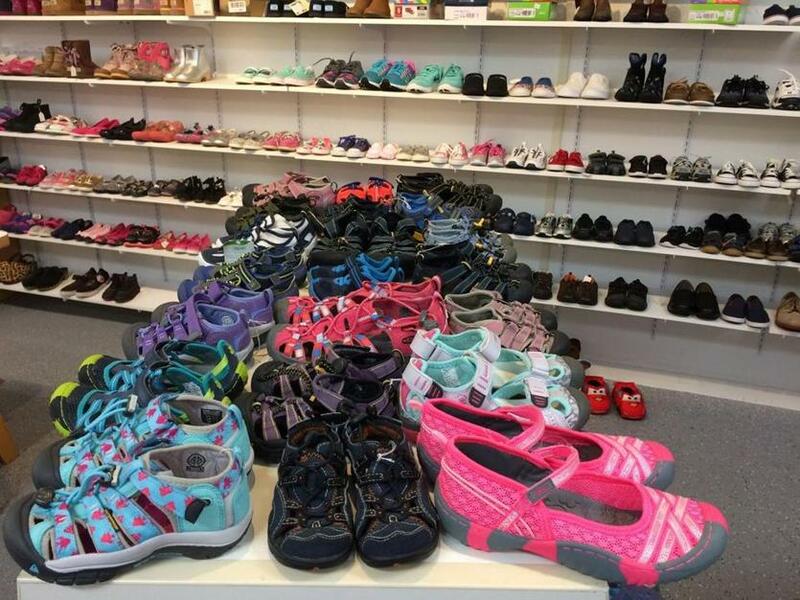 Trendy Tots has a huge collection of children's shoes, including water shoes and rain boots. Trendy Tots: Another shop that purchases outright, Trendy Tots specializes in children’s clothing and equipment, from newborn through size 12. About half the inventory is gently used, with labels such as The North Face, Patagonia, and Garnet Hill Kids. The other half is new, including Cape Cod-themed clothing, like onesies sporting lobsters or sharks. There’s a huge selection of shoes, including water shoes and rain boots. 426 Main St., Falmouth. Robin's Nest stages rooms of furniture and home decor for sale. Robin’s Nest: Larger than it looks from the outside, Robin’s Nest specializes in painted vintage and antique furniture, home decor, and gifts. 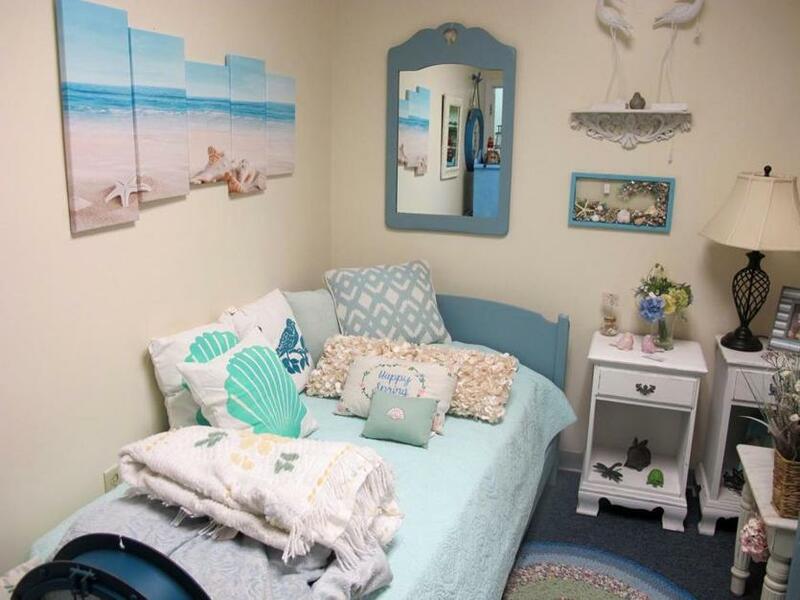 Eight rooms are staged to reflect different styles; a kids’ room features a painted headboard and nautically themed bureau, lamps, and wall décor. Owner Robin Davidson will chalk paint your purchases, or you can paint them yourself on site. 23K Whites Path, South Yarmouth; www.robinsnestfurnitureandmore.com. At Home Again: Founded in 2005, this furniture consignment shop features pieces from Pottery Barn, Restoration Hardware, and Habersham, among others, along with art glass, folk art, Oriental rugs, garden accessories, and primitives. Distinctive pieces on the floor include a 7-foot table from Restoration Hardware and a round brass coffee table. The coastal look is popular here, said co-owner Donna Ritvo. 1705 Main St., West Chatham; athomeagainchatham.com.